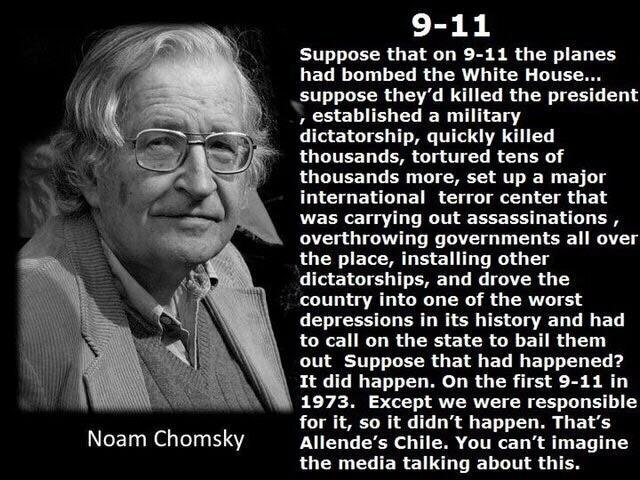 I think the CIA threatened his family or career when it comes to talking about 9/11. They have close ties with MIT after all. I still think he's a good source for understanding the system at large even if he won't touch that one issue for whatever reason. when you watch the expose, you will see he was into it since way before 9/11 starting with the jfk assassination and also defending the federal reserve system. i submit he is neither perfect nor good. so, since the smom kinda runs the cia, that 'threat' must be disinfo anyway.